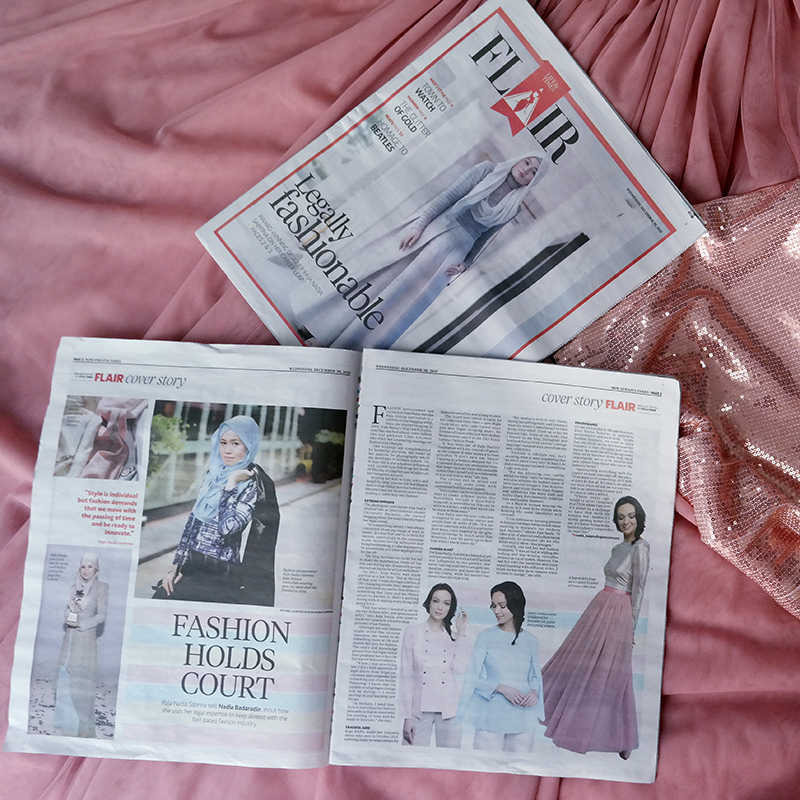 2015 has been amazing career wise, after my official career leap and totally focusing on running my fashion label aere and blogging. I learned so much this year and I know there's so much more to learn and experience which gets me all geared up and excited for 2016. This year has been lovely with all the good surprises and overwhelming support and response for aere and my blog from you my readers, stockists, partners, media and the press as well as of course, my family and friends. Thank you so much for the bottom of my heart as I feel so blessed for 2015 as I reflect just before 2015 ends. Thank you for saying it as it is Nadia! Lovely writeup. 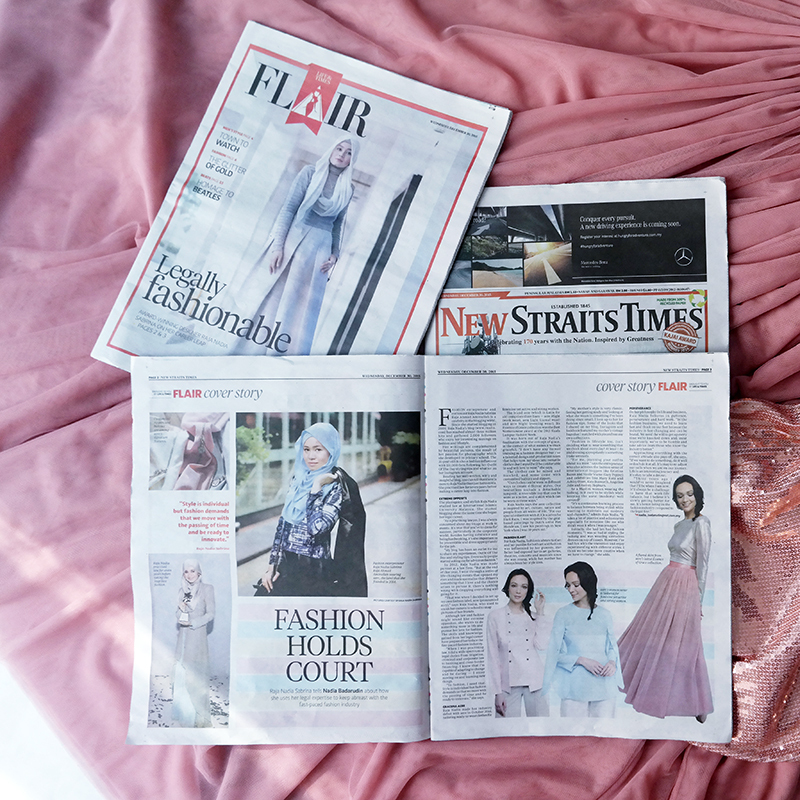 Loved NST's last write up too which I blogged in my post In the News : Life and Times. Truly humbled by all the overwhelming love, support and features this year. All praises to the One who blesses us with rezeki, gifts and guidance. Last year in October 2014 I was featured in the Sun as blogged in my post The Sun is Shining on Me Today when I have really just started to crawl and started aere. It was actually a day before the launch of aere's first collection. And now just 2 days before 2016, this feature by NST. I'm really ending 2015, on a high. 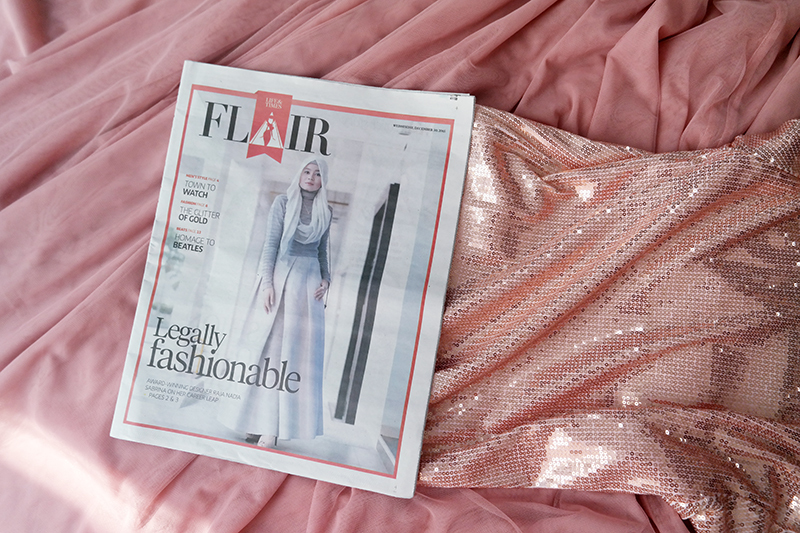 :) Switching from law to fashion is one of the best lfe-changing decisions I've made, even though I love and am passionate about both industries. Thank you God for determining my path in this way and thank YOU who's reading this for the love and support. Alhamdulillah. Recent features : Read aere in the Sunday News, The Sun on Pastel Dreams, In the Cosmos, Starred, Feature in Nona Magazine : August Issue, aere on air : Interview with BFM Radio, Dreams Do Change and In the News : Life and Times.